Ancient history is one of most interesting aspects for human exploration. Despite all the technology we have now, we still have gaps left of the past that we are not able to clarify and truly understand. With things such as ancient languages and mystical disappearances of some ancient civilizations, human always wonder how would they ever find the missing pieces to solve the puzzle. Whenever humans are given the opportunities to learn something of the past such as tales, legends, and true facts they are always excited to investigate and understand them. China, one of the ancient lands that was the home of great civilizations have their own tales to tell. One of the most interesting and wonderful tales is the story of the three kingdoms. 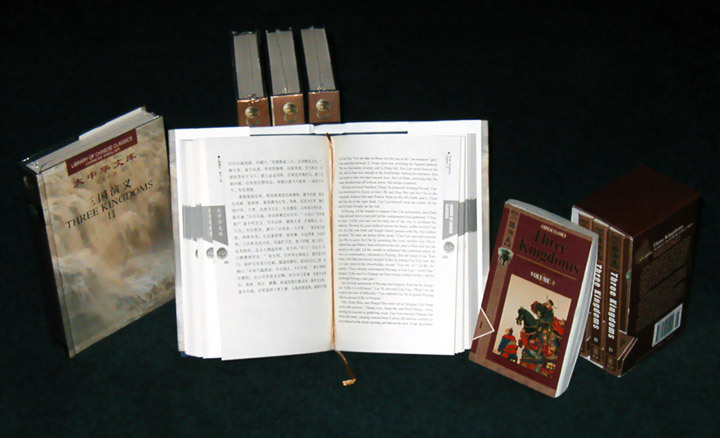 Romance of three kingdoms is a book that tells the tale of what happened during the three kingdoms era in china. It is considered as one of the top 4 classic novels in Chinese literature. The story combines myths and legends with true facts that actually happened. Thus, the book itself is 60% and 40% myths and legends. The book goes in depth into destruction of the han empire and the rise of Shu, Wu, and Wei which became the three kingdoms that fought over control of china. The interesting thing about this tale, is that it talks about over 100 characters in detail and involves countless mini-stories that within it. Each of the characters listed has his own personality and way of thinking thus the book turns into something completely huge and extremely detailed. Despite the book's large size (its divided into 4 parts and has over 2000 pages in total) , the pace keeps going in a good motion without boredom from reading. This is all due to the countless interesting stories and events that happen in the book which causes change of place, theme, and environment. This tale deals with trust, betrayal, romance, friendship, loyalty, bravery, decision making, intelligence, and huge amounts of examples. It portrays a deep study on human behavior and thought through its characters and events. I strongly recommend reading this epic novel, that really excited me from beginning to end. The novel is truly a masterpiece of myth and history. The combination is so perfect that its really a worthwhile experience. Many people compare Romance of the three kingdoms to the homer's Iliad and Odyssey. 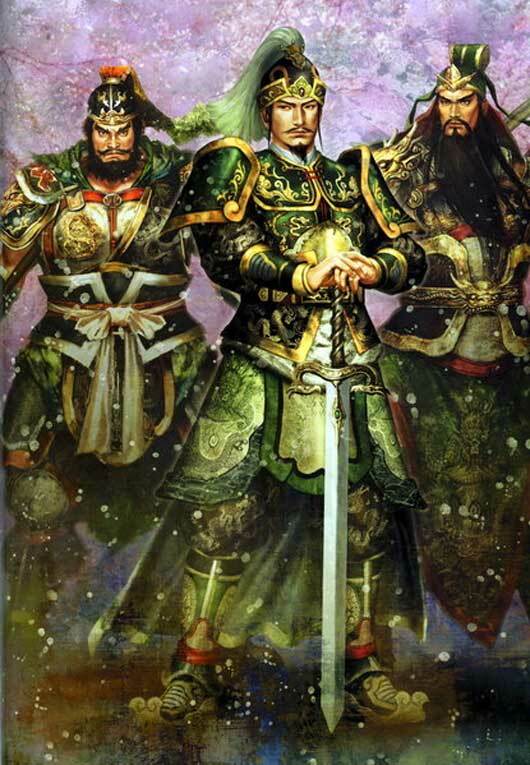 ROTK (romance of the three kingdoms) was also adapted into a video game by the name of Dynasty warriors. It gained huge popularity even though the game was criticized for being repetitive. For any readers out there, or Dynasty warriors fans this is a must have novel. Its definetly worth it, but if you are intrested you can read the book online. Although I highly recommend Moss robets version. I think it's the best of the 4 (or 3 I've read). They are all great pieces of work, but I'm just picking out the bad points. Journey to the West: extremely repetitive, it's basically like a shounen anime (they did make one actually, called Saiyuki). Water Margin: Loads of characters/stories, hard to keep track of everything. Dream of the Red Chamber: I don't know much about this book but I heard it has an even larger cast than the others and is a very different kind of novel. I should read ROTK properly, last time was before really good translations were around and it was probably incredibly abridged. Yeah Another thing I would add is never read abdridged ones. Moss Robert has the best version out there so buy his version!! I just want to point out that Saiyuki is the Japanese pronunciation of the Chinese words "西遊記"
dynasty warriors! srsly, even though i didn't learn all about the 3 kingdoms, i still learned a lot from that game. haha. yep, I love dynasty warriors. I've loved this since I was a kid. In fact I think I will take the book with me to college tomorrow. Thanks for reminding me! Awesome, I've been looking for a good story, looks very interesting and deep. By the way, Zhao Yun is my, and many others for sure, favorite character. I suggest those who have read the book, watch the movie series as well. There is only one, and only movie series of ROTK. I watched it like 13-14 years ago. Side note, since Nytefish mentioned Water Margin "水滸傳". People should read it too. That would be my 2nd favorite after ROTK. It also has a movie series just like ROTK and it is amazing. A lot of "martial arts" ownage. The CCTV Serial is sooooo gooooooood.